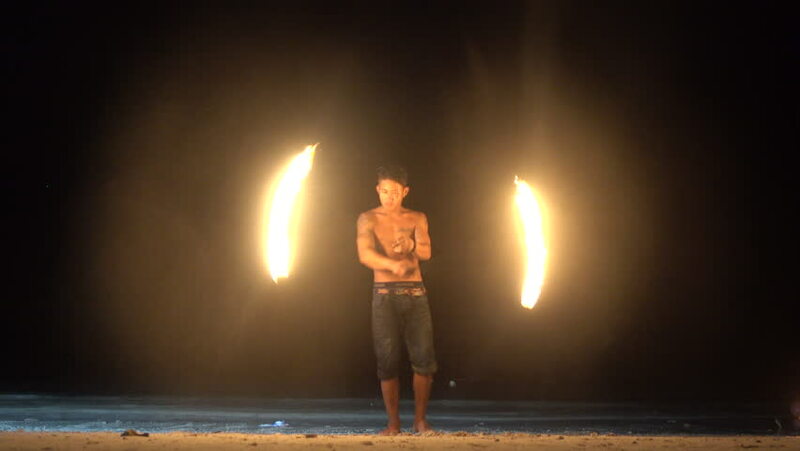 hd00:15Beautiful young sexual fire dancer girl performing with fire poi at night. Dancing shaman. Fireshow in the dark. Slow Motion. Kaliningrad - July 2017 Russian. hd00:15SAMUI, THAILAND - 8TH JANUARY, 2018: Fisherman beach Thai fireshow. Fire performance of local acrobats. Dangerous tricks with flame.